pytest 3.3.0 released, pytudes, requestium, cloud-inquisitor, using python for mobile development, and much more. Last chance â€” Adrian from PyImageSearch.com is closing down his Cyber Monday deal Wednesday at midnight EST. Grab your copy of his new book, Deep Learning for Computer Vision with Python (for 15% OFF) before he takes the the deal down! pytest 3.3 released! Built-in logging capture, new progress output and fixtures. Python programs to practice or demonstrate skills. a halftone representation of an image made of thread. Functional programming tools for the shell. 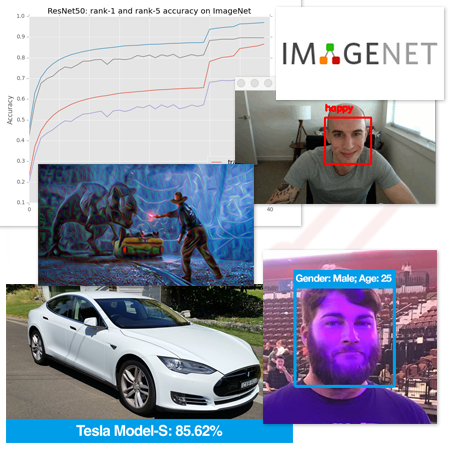 Image Deblurring using Generative Arversarial Networks. asyncio powered FreeSWITCH cluster control. Fork of networkx drawing utilities for publication quality plots of networks. Cloud Inquisitor - tool to enforce ownership and data security within AWS. Custom-built full text and event geoparsing. Exploring an audio dataset in two dimensions and the algorithms used to do so. Quart as an upgrade to flask. Create your first neural network. Everything you wanted to know about pathlib.